The changes, which surprised the customers, typically lowered their monthly loan payments, which would seem to benefit borrowers, particularly those in bankruptcy. But deep in the details was this fact" Wells Fargo&apos;s changes would extend the terms of borrowers&apos; loans by decades, meaning they would have monthly payments for far longer and would ultimately owe the bank much more. The changes are part of a trial loan modification process from Wells Fargo. But they put borrowers in bankruptcy at risk of defaulting on the commitments they have made to the courts, and could make them vulnerable to foreclosure in the future. A spokesman for Wells Fargo, Tom Goyda, said the bank strongly denied the claims made in the lawsuits and particularly disputed how the complaints characterized the bank&apos;s actions. Wells Fargo contends that the borrowers and the bankruptcy courts were notified. "Modifications help customers stay in their homes when they encounter financial challenges," Mr. Goyda said, "and we have used them to help more than one million families since the beginning of 2009." According to court documents, Wells Fargo has been putting through unrequested changes to borrowers&apos; loans since 2015. During this period, the bank was under attack for its practice of opening unwanted bank and credit card accounts for customers to meet sales quotas. Outrage over that activity — which the bank admitted in September 2016, when it was fined $185 million — cost John G. Stumpf, its former chief executive, his job and damaged the bank&apos;s reputation. 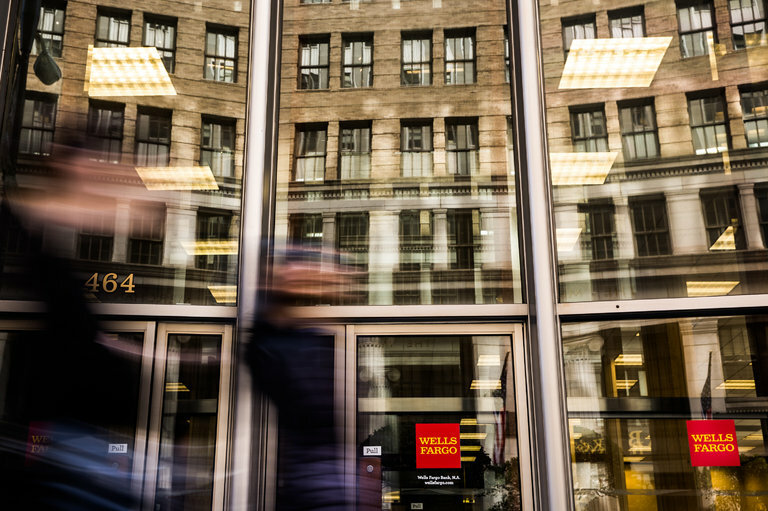 It is unclear how many unsolicited loan changes Wells Fargo has put through nationwide, but seven cases describing the conduct have recently arisen in Louisiana, New Jersey, North Carolina, Pennsylvania and Texas. In the North Carolina court, Wells Fargo produced records showing it had submitted changes on at least 25 borrowers&apos; loans since 2015. It is unclear why the bank would put through such changes. On one hand, Wells Fargo stood to profit from the new loan terms it set forth, and, under programs designed to encourage loan modifications for troubled borrowers, the bank receives as much as $1,600 from government programs for every such loan it adjusts, the class-action lawsuit said. But submitting the changes without approval violates bankruptcy rules and puts the bank at risk of court sanctions and federal scrutiny. 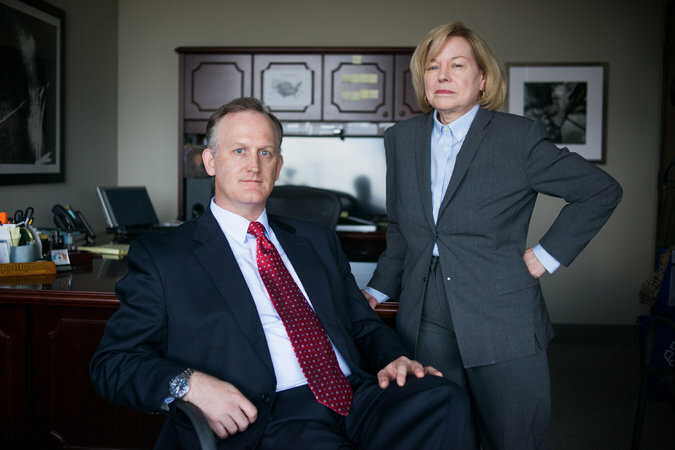 When a lawyer for a borrower has questioned the changes, Wells Fargo has reversed them. Abelardo Limon Jr., a lawyer in Brownsville, Tex., who represents some of the plaintiffs, said he first thought Wells Fargo had made a clerical error. Then he saw another case. "When I realized it was a pattern of filing false documents with the federal court, that was appalling to me," Mr. Limon said in an interview. The unauthorized loan modifications "really cause havoc to a debtor&apos;s reorganization," he said. This is not the first time Wells Fargo has been accused of wrongdoing related to payment change notices on mortgages it filed with the bankruptcy courts. Under a settlement with the Justice Department in November 2015, the bank agreed to pay $81.6 million to borrowers in bankruptcy whom it had failed to notify on time when their monthly payments shifted to reflect different real estate taxes or insurance costs. That settlement — in which the bank also agreed to change its internal procedures to prevent future violations — affected 68,000 homeowners. Borrowers having financial difficulties often file for personal bankruptcy to save their homes, working out payment plans with creditors and the courts to bring their loans current in a set period. If the borrowers meet their obligations over that time, they emerge from bankruptcy with clean slates and their homes intact. Changing these payment plans without the approval of the judge and other parties can imperil borrowers&apos; standing with the bankruptcy courts. In the class-action lawsuit filed last week, the lead plaintiffs are a couple in North Carolina who say that Wells Fargo submitted three changes to their payment plan in 2016 without approval. The first time, Wells Fargo put through the changes without alerting them, according to the couple, Christopher Dee Cotton and Allison Hedrick Cotton. The Cottons&apos; monthly payments declined with every change, dropping to $1,251 from $1,404. Buried deep in the documents Wells Fargo filed — but did not get approved by the borrowers, their lawyers or the court — was the news that the bank would extend the Cottons&apos; loan to 40 years, increasing the amount of interest they would have to pay. Before the changes, the Cottons owed roughly $145,000 on their mortgage and were on schedule to pay off the loan in 14 years. Over that period, their interest would total &dollar;55,593. Under the new loan terms, the Cottons would have incurred $85,000 in interest costs over the additional 26 years, on top of the $55,593 they would have paid under the existing loan, their court filing shows. Theodore O. Bartholow III, a lawyer for the Cottons, said Wells Fargo&apos;s actions contravened the intent of the bankruptcy system. "When it goes the right way, the debtor and mortgage company agree to do a modification, go to court and say, &apos;Hey judge, modify or change the disbursement on my mortgage." Instead, Wells Fargo did "a total end run" around the process, said Mr. Bartholow, of Kellett & Bartholow in Dallas. The Cottons declined to comment. Mr. Goyda, the Wells Fargo spokesman, denied that the bank had not notified borrowers. "The terms of these modification offers were clearly outlined in letters sent to the customers and/or to their attorneys, and as part of the Payment Change Notices sent to the bankruptcy courts,&apos;" he wrote by email. Mr. Goyda said that "such notices are not part of the loan modification package, or part of the documentation required for the customer to accept or decline modification offers." He added, "We do not finalize a modification without receiving signed documents from the customer and, where required, approval from the bankruptcy court." Mr. Limon and other lawyers say that while the bank may wait for approval to complete a modification, it has nevertheless put through unapproved changes to borrowers&apos; payment plans. According to a complaint he filed on behalf of clients in Texas, instead of going through the proper channels to try to modify a loan, Wells Fargo filed the routine payment change notification. The clients also accuse the bank of making false claims by contending that the borrowers had requested or approved the loan modifications. In many cases, the trustees who handle payments on behalf of consumers in bankruptcy would accept the changes Wells Fargo had submitted on the assumption they had been properly approved. Mr. Limon represents Ignacio and Gabriela Perez of Brownsville, who say Wells Fargo put through an improper change to their payment plan last year. After experiencing financial difficulties, Mr. and Mrs. Perez filed for Chapter 13 bankruptcy protection in August 2016. They owed about $54,000 on their home at the time, and had fallen behind on the mortgage by $2,177. The value of their home was $95,317, records show, so they had substantial equity. In September, the Perezes filed a payment plan with the bankruptcy court in Brownsville; the trustee overseeing the process ordered a confirmation hearing on the plan for early November. But in a letter to the Perezes dated Oct. 10, Wells Fargo said their loan was "seriously delinquent" and offered them a trial loan modification. "Time is of the essence," the letter stated. "Act now to avoid foreclosure." Because they were going through bankruptcy, the Perezes were not under any threat of foreclosure. Mr. Perez said in an interview that the letter worried him, so he asked his lawyer to investigate. Then, on Oct. 28, 2016, DeMarcus Jones, identified in court papers as "VP Loan Documentation" at Wells Fargo, filed a notice of mortgage payment change with the bankruptcy court. It said the Perezes&qpos; new monthly payment would be $663.15, down from $1,019.03. In the notice, the bank explained that the reduction was a "Payment change resulting from an approved trial modification agreement." The changes had not been approved by the Perezes, their lawyer or the bankruptcy court, their complaint said. Although the monthly payment Wells Fargo had listed for the Perezes was lower, there was a catch — the same one that showed up in the Cottons&apos; loan. The Perezes had been scheduled to pay off their mortgage in nine years, but the loan terms from Wells Fargo extended it to 40 years. The Perezes would owe the bank an extra $40,000 in interest, the legal filing said. "I thought that I was totally crazy, or they were totally crazy," Mr. Perez said. "I am 58, in what mind could they think I would agree to extend my mortgage 40 years more? I don&apos;t understand much maybe, but it doesn&apos;t sound legal to me." Mr. Limon quickly fought the changes. If he had not, Mr. and Mrs. Perez could have faced further complications. The new Wells Fargo payments were so much less than the payments the Perezes had submitted to the bankruptcy court that if the trustee had started making the new payments with no court approval, the Perezes would have emerged at the end of their bankruptcy plan owing the difference between the amounts. The Perezes would be unwittingly in arrears, and the bank could begin foreclosure proceedings if they were unable to make up the difference.